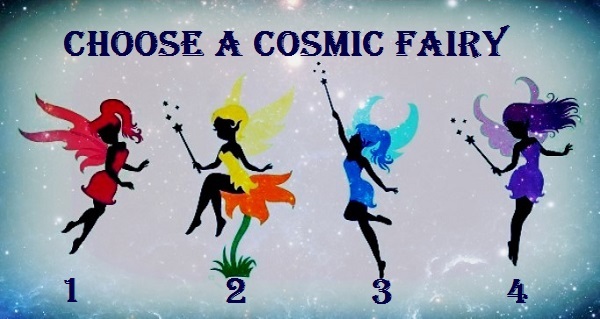 Choose a cosmic fairy from the picture below, and we’ll tell you about your personality, and what kind of energy you are really attracting into your life right now. You attract Communication and intuition. You have a free spirit and you love nature. Whether it is the beach, the mountains, or even the local park, you absolutely adore being surrounded by natural beauty. It appeals to your introverted side to be away from the hustle and bustle of everyday life, and find solace among the trees. You tend to let people get in your head more than you should, which is why you enjoy getting away from other humans. You attract Growth and patience. Right now your life is in a transitional period and you are not one who is fond of change. Allow things to flow, and stop resisting the tide. You attract Challenges and understanding. Well, you like adventures so much you might as well have a life full of them that appear in unexpected ways. “Murphy’s Law” might be your new favorite phrase. But unlike most people who would become easily frustrated with all the chaos, you handle it with grace. Life gives you these challenges so you can understand the bigger picture. And it seems like you are almost there. You are a thoughtful and quiet individual who tends to overthink things. This can cause problems in your life- many of which weren’t problems before you turned them into one. You are concerned about the well-being and happiness of others. Your friends will tell you though, you should also spend some time on yourself. Take some R&R for you and reconnect with the person inside- the one you like (and miss). You attract Opportunity and knowledge. It’s time to put that big brain of yours to use. Opportunity is knocking and you better answer the door. You’ve been wanting some security in your life and if you pay attention to the lessons life is offering you, you will have exactly what you want. The full moon in Sagittarius on Tuesday 29th May, 2018 is in an optimistic, wide-ranging and long-sighted sign so we’ll all benefit from an upbeat and immensely positive energy. This Full Moon can bring a goal you’ve been working on to fruition, or you may release some heavy baggage you’ve been carrying around with you. The sign of Sagittarius trumpets in a whole host of great things for us all. Like the moon itself coming to the end of a cycle, it brings something to an end – possibly something you tried and failed during the last period – allowing you to make a new beginning, when the moon is at its furthest point from the sun like this. Some of us will be hit by the realisation that we can take what we’ve been working on/ruminating on, and offer it up to the wider world with greater confidence. It’s about shooting the ball through the hoop, even in the face of some pretty nifty defence. Thinking more philosophically about problems comes naturally when the moon is feeling lucky, and it switches on blue-sky thinking and ensures that we always see the bigger picture. It all comes down to the power of thinking ourselves successful, rich, loved etc. Sagittarius is a sign that likes to keep topping up the glass, and this full moon happens at the end of the week, so it could very well herald party time. If not a party then it could be some sort of big announcement, possibly connected to somebody deciding to up sticks and move a distance away, possibly abroad. It’s all about the big idea, being a bit of a terrier, and not taking ‘no’ for an answer. The positive side of the Sagittarian ideal is expanded horizons; its shadowy side is an inflated sense of our own importance, so there’s an even finer line between confidence and arrogance. It can also serve to whet our appetites for the good life, so this might be a weekend when the diet takes a bit of a beating. If this is the outcome, then enjoy it without wrapping it up in guilt. Waves of optimism break over our lives, and with them a fair share of lucky energy. Sagittarius has a habit of being in the right place at the right time, and there’s lots of this energy to go round right now, so it’s entirely up to each and every one of us to grab it. It’s a two-magpie kind of time, and Sagittarius is the joker of the pack, so a sense of humour always comes in handy, likewise not taking scenarios or people too seriously. This can help us take a step back and not invest too heavily in other people’s emotional dramas and woes. Whenever Sagittarius is involved, the urge to travel for a holiday and adventure grips us. Some of us therefore might be hit by the wanderlust right here and now, or be consumed by a need to gather the family around and plan a holiday. Maybe something slightly more adventurous than usual – even venturing a little bit further this weekend than you would ordinarily. Read on what this Full Moon in Sagittarius means and how it affects your zodiac sign! 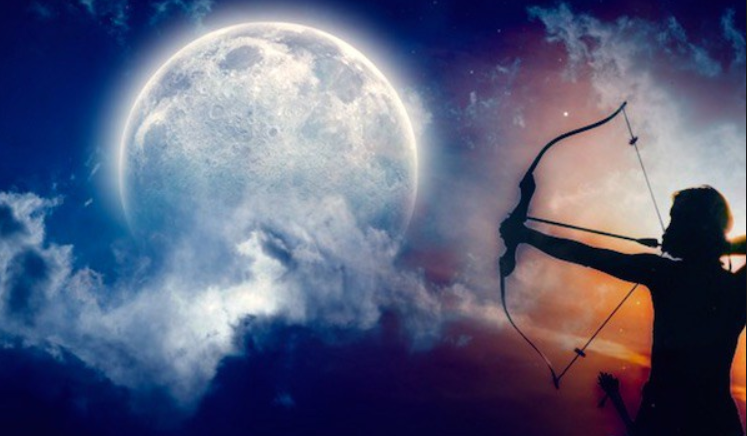 How this full moon in Sagittarius will affect you based on your zodiac sign! This full moon in Sagittarius is really a very good opportunity to gain clarity and derive meaning from your current life challenges. If you’ve been feeling trapped and uninspired lately, it’s time to inject your life with fresh hope, vision and meaning! This is an explorative full moon, when you can survey all the wonderful possibilities that open up before you. A plan, project, idea or vision you’ve had may come to a natural conclusion now: you achieved what you set out to do. And even if not, this matter will no longer be relevant to the concerns that will occupy you in the future. Disagreements now may come down to a difference in creed. Time to speak your truth. Time to take a broader perspective to your problems. Time to spread your wings! What is it all about, dear Aries? Have you been fighting off a sense of meaninglessness for a few years now? This full moon puts you in a philosophical mood and you might find yourself doing some deep thinking – we know, not quite your game. You’re more one for taking action than doing armchair philosophy. But do take a moment to consider what’s most important to you now. Is it time to move forward with an important relationship for instance? A door opens. Full moon in Sagittarius meaning for Aries: Plan an adventure or an important trip overseas. Connect with people from other cultures. Learn a new language. Focus on your spiritual growth and find books, films, videos that inspire you. This is a great time to meet a foreigner and have a romance. This is a deep and meaningful full moon for you, dear Taurus. You’re not big on change but it should be clear to you now that you’re on the doorstep of some big life stuff! Yes, changes! This shouldn’t come as a surprise, in fact you’ve been working toward this for some time. This could be concerning your health or taking your relationship and trust with someone to the next level. This is also a moment of truth for your finances – especially loans and gifts. Just do what needs to be done and, we promise, life will get much better! Full moon in Sagittarius meaning for Taurus: Find ways to connect more deeply with other people. Financial issues could come to a head. Be careful you don’t overspend and don’t rush into any kind of business or financial partnership. You may receive money from a grant, investment or scholarship. It’s a loaded moment for a relationship, dear Gemini! Maybe you’re finally deciding to tie the knot? Gemini prefers to keep their options open so, we’d understand, this is a big one for you. Or maybe you’re deciding to go your separate ways? Well that’s not keeping your options open either, is it? Either way, things are actually looking up where love is concerned! An important event that brings you into contact with the public might also be in store now, one which could unleash your creativity. Full moon in Sagittarius meaning for Gemini: You could have a new romance and meet someone special. This person could bring you luck and personal growth. This is a good time to extend your social circle and to show the people already in your life how much you appreciate them. Have you been on the job-market for a while, dear Cancer? Or maybe you’re been working like a dog and nobody has really seen much of you? Whichever it is, the effort you’ve put in is about to pay off. A major work project is coming full circle or you’re about to find out if your application has been successful. Saturn is also serious about your health so, if you’ve been letting things slide, this full moon is bound to flag something up needing your attention. The upshot of all this is a warm and fuzzy feeling inside. You’re about to get really lucky on the home and family front! Full moon in Sagittarius meaning for Cancer: This is shining a light on your work and could bring you an exciting new opportunity. You might decide to go to school and study for more certifications, you could receive a promotion or some good news connected with your work. Love has been giving you a tough time of late and it’s been more hard work than fun. Are you attracted to someone older? If so, you’re about to find out where your little budding romance truly stands. If you’ve been going through a rough patch though, or if things have been a little slow, this full moon brings you closure, wisdom and a certificate of attendance. You’re ready to enter the game again and your luck is about to change! Full moon in Sagittarius meaning for Leo: Starting a new business or expanding an existing one is under fortunate aspects. You could meet the love of your life. Do anything sporty, fun and that brings out the playful, childlike qualities inside you. Family matters have been hard going for a while now. Whatever your life was like before, chances are that your focus has been majorly on your home and family since the end of 2014. This full moon brings you an important moment of truth – whether concerning the care of a parent, a real estate project or the responsibilities of having your own family. You’re called to commit to what’s most important to you wholeheartedly and develop greater self-reliance. There’s a pot of gold for you at the end of the rainbow! Full moon in Sagittarius meaning for Virgo: This is a good time to speak the truth to your family or people closest to you. You could receive good news regarding a move or relocation to another city or country. Do something different with your furniture, your surroundings and make it uplifting. Jupiter is in your sign this year and you might be tired of hearing that you’re the luckiest sign of 2017… But you are! Even if you’ve just spent a few months in the school of hard knocks – that’s Jupiter retrograde and Saturn intent on teaching you a new way of thinking – you’ll still look back on this period some day as the start of new and wonderful things! This full moon brings you an important communication. This may be news or a conversation that you need to have. Or you might be ready to present your new ideas, book or blog to the world. Dare to step into the unfamiliar! Full moon in Sagittarius meaning for Libra: Make sure you get out and about networking and socialising as you could meet some very influential and helpful people. This is a great time for going on a course of study, for learning anything of a technical nature, for writing, sharing and communicating generally. You’ve been through such a financial bottleneck in the past couple of years that you don’t need us to remind you. The full moon is here to signal an end to this, although it may not come immediately. You may be presented with one last hefty bill but if so, it’s something you expect and are willing to pay to gain something far greater. Or you may be finally financially rewarded for all your patience and hard work! Even a small reward will mean a lot to you now and crystallise your self-worth. Take heart, dear Scorpio. Someone out there has your best interests at heart! Full moon in Sagittarius meaning for Scorpio: You could receive a financial bonus or even a windfall. Be careful you don’t overspend on frivolous items. This is a good time to develop a business idea and to share it with people who may be able to help you. This is it, dear Sagittarius! You may not think it’s much, or you may be so worn down from Saturn’s harsh way of teaching that you think nothing of it. Nonetheless, this is a key moment of realisation for you. You now have a better sense of who you are and what you want out of life. Some things may be off the table for good but what remains is of real substance and here to stay. Build on it. If you’re attending a social event, expect to be honoured for your knowledge and experience. Others are on your side! Full moon in Sagittarius meaning for Sagittarius: As this Full Moon is in your sign, this is a time for new beginnings, for dreams and wishes to come to fruition and to set new goals you want to achieve in the next year. Don’t be afraid to reach for the Moon! It’s time for you to give back, dear Capricorn. It’s also time to discover hidden aspects of yourself. You may be volunteering for charity, or you may take time off work to pursue an activity that feeds you on a soul level. If you’re on a retreat or undergoing therapy, expect a major “aha” moment, when you come face to face with your shadow self. What’s most amazing is that, if you’ve boxed yourself in all these years as to what you thought was worth aiming for and what was not, you’re about to experience greater freedom – and opportunity! – in your career and life direction! Full moon in Sagittarius meaning for Capricorn: Take time out during this Full Moon to be peaceful and to bring stillness into your life. Listen to your dreams as they could be prophetic. Being alone, being in nature and finding the abundance within will be very nourishing and uplifting for you. Where do you stand among your friends, dear Aquarius? Are you respected? Are you dissed? Who are your true mates? There seems to be an important public event taking place, one that could show you exactly where you stand in your social circle. It could just give you the honour and respect you deserve. Or maybe it’s time to visit a friend and clear the air, repay a favour or gain entry into a very exclusive club? And if entry is refused, rest assured this wasn’t right for you. It’s time to drop the blinkers and open your mind to new possibilities! Travel could be on the cards as could a fresh marketing campaign! Full moon in Sagittarius meaning for Aquarius: This is a great time to get out and meet new friends and to create new social networks. You’ll have an opportunity to connect with people who are passionate about the same things you are. A special new friend could come into your life who will broaden your horizons and bring exciting new possibilities to you. Are you at the top of your game, dear Pisces? There’s an air of authority about you and everyone seems to look up to you for guidance and advice! It’s time for you to fully and properly assume that leadership role. Time to recognise the responsibilities you carry and to rise up to these challenges. You’ve grown a lot in the past couple of years and are serving as a shining example to others. This full moon might signify a big career event or it may be time to make a relationship official. Others are about to get incredibly generous! Full moon in Sagittarius meaning for Pisces: There could be good news about your career, a change in direction or an expansion of your existing career. It’s a great time to be more public with your work, not to hide under a bushel any more, but to shine your unique light and allow others to see it.